I have been using it for a couple of weeks and I really like it. The texture is light and quite fluid, it absorbs very easily and it has a quite “matte” finish thanks to the butters. [Warning: if you are new to my blog and find this post overwhelming… trust me, it is not! You just need to learn a bit more about making REAL cosmetics at home and you can read all the info you need starting from the Site Index! 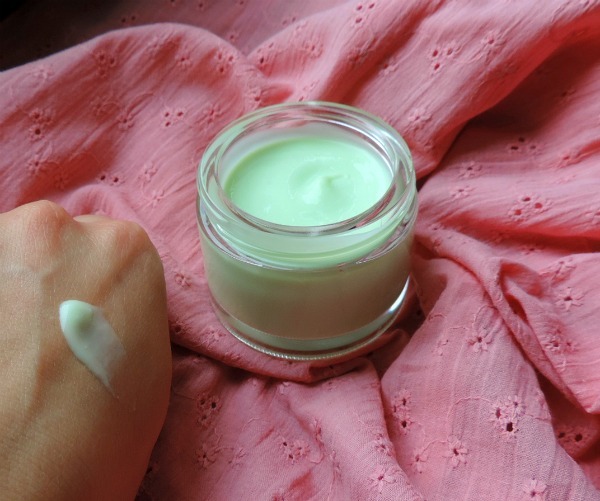 As you can see there are theory posts which will teach you how to formulate and how to make creams and other cosmetics. Cetiol Sensoft 0.5 (this is a very light synthetic oil which gives a good consistency to the cream. If you don’t want to use synthetic oils then you could try to substitute it with jojoba oil – which is actually an ester – but the consistency wouldn’t be really same. However, being the concentration so low, it is probable you won’t find any difference 🙂 ). 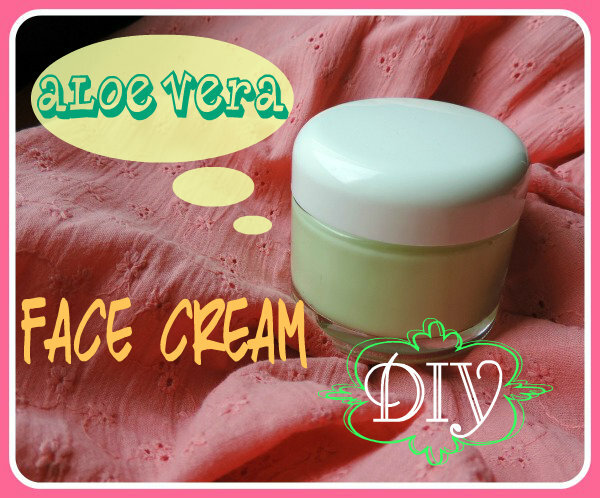 As always, the HOW TO is very similar to all the other recipes of creams I have done. 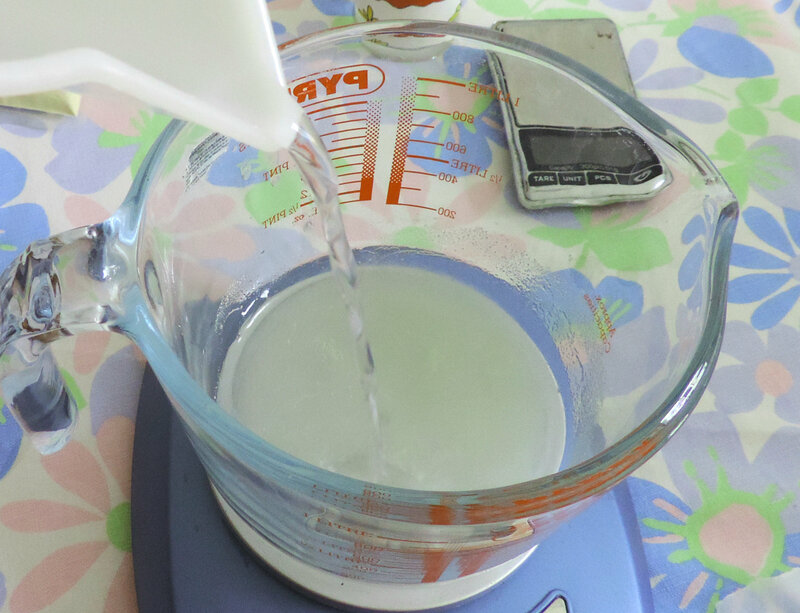 1) Pour the Xanthan gum on top of the Glycerin, stir. 3) Now measure the Phase B. 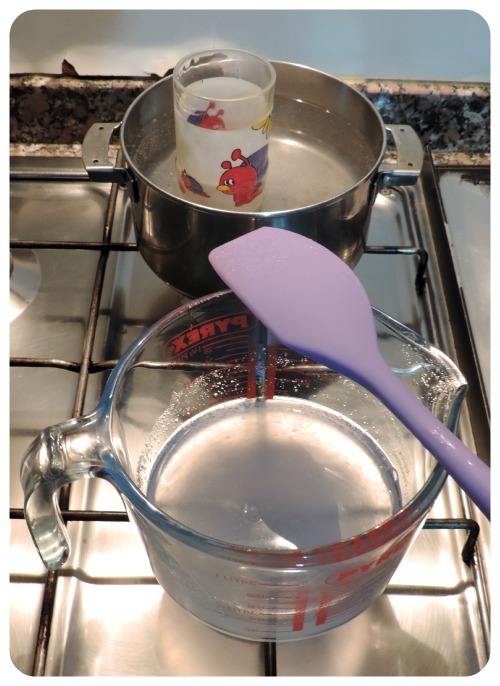 5) Pour the Phase B into the Phase A into 2 or 3 steps. ps. In this picture the cream is already cooled down so it is a little bit thick. 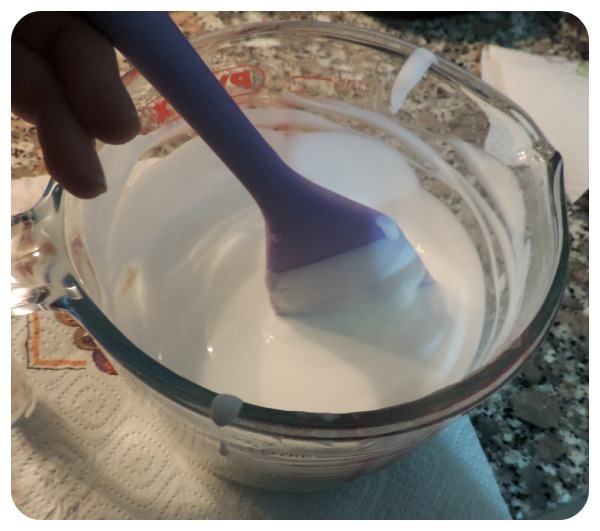 Don’t be scared if, in the beginning, the emulsion will be very liquid almost like milk! It is normal. 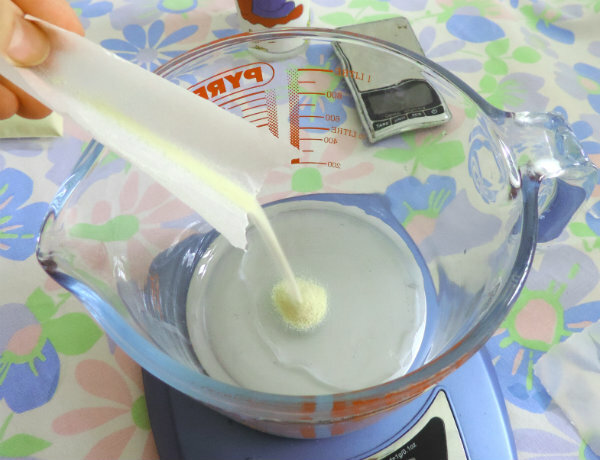 8) When the cream is at room temperature, add the two Phase Cs (you add one, mix with a spatula… add the second one and mix again with a spatula). 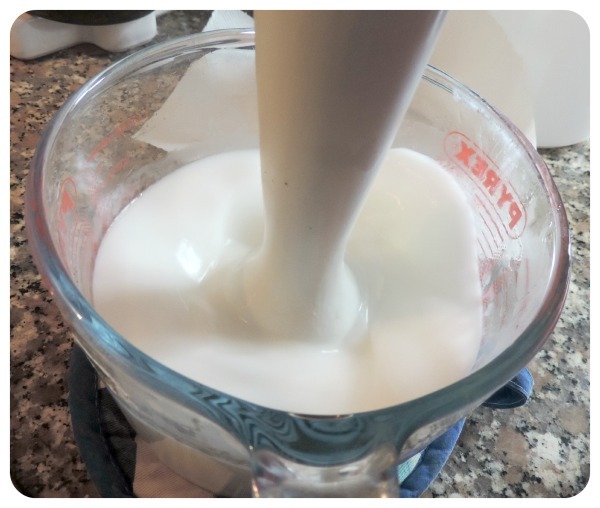 9) When all looks good and emulsified, give it a last stir with the stick blender (it will make the cream more smooth and stable). 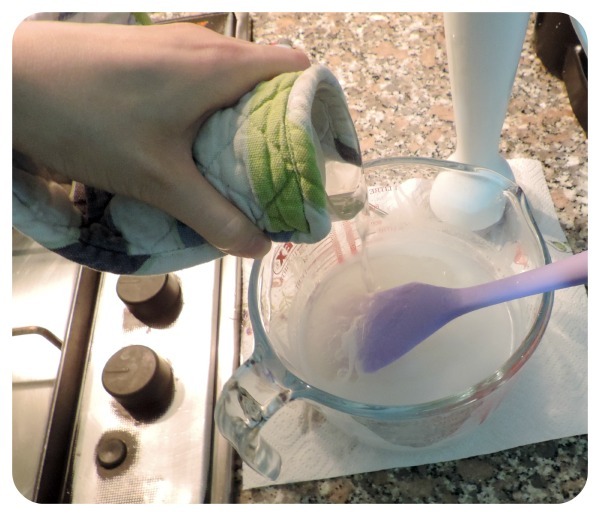 Avoid adding air to the cream or it will form bubbles, which can eventually make your emulsion break down. 10) Add fragrance and color to your liking. (I added cucumber fragrance and one drop of green food coloring giving the cream a fresh feel 🙂 Obviously you can omit this step). Hope you liked this recipe! one thing i’m not sure if! for preservative that needs to be slightly acidic to work best (eg cosgard, optiphen ND etc), is it okay to add the preservative before pH adjustment or should we adjust pH first before adding the preservative? Usually I add the preservative at the very end with the pH already adjusted (and then give a last mix with the immersion mixer). I have added it also at the beginning (for example in creams that didn’t need to be heated)… however I don’t know if it can make a difference.